Kantar Worldpanel China reports 14% value growth for the FMCG (Fast Moving Consumer Goods) market in 2012. Amongst all the categories Kantar Worldpanel monitor, 7 out of 10 categories enjoyed average family spending level increase of over 3%. This indicates that consumption levels have started to pick a more significant role in the overall market growth in China. Although China’s economy is among the brightest performers within emerging markets in 2012, consumption is yet to play a pivotal role in GDP. With the new government pledging to carry out more reforms to increase wage and address wealth distribution, the pick-up of spending power will inevitably reflect the rebalancing of the Chinese economy away from exports and towards consumption. It is vital for category leaders to consider category spending as a key success factor to drive future growth in the retail market, especially mature categories whose penetration has reached a plateau, such as biscuit and chocolate in food and toothpaste and toothbrush in toiletry. In 2012, there were a number of categories showing substantial increase in household spend level, including mint candies, wine/spirits, chocolate, biscuits and toothbrush. 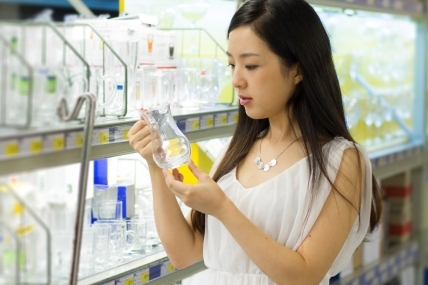 Kantar Worldpanel’s continuous tracking of 40,000 urban Chinese families throughout 2012 shows that Chinese consumers continue to spend more on mature categories such as toothpaste, despite the category penetration being stable over the last two years. For example, average families spent 12.5% more on toothpaste. The premium segment, especially products with professional and special claims, such as whitening, anti-sensitivity, and gum-protection, became more attractive to consumers and thus is driving the category expansion. Similar to oral care categories, biscuit has also reached 98% household penetration in urban China which leaves very little room to further expand penetration. Nevertheless, the biscuit category still enjoyed 23% market growth in 2012 thanks to the increase of consumption level. On the one hand, premium European biscuit for gifting has been one driving factor of the consumption growth. On the other hand, new flavours and innovative product formats are another success factor leading to the market expansion. In order to secure space in consumers’ baskets, premiumization as a result of driving innovation that really uncover new consumer demand and changing lifestyle are inevitable to justify value-for-money. Unlike mature categories, emerging categories should take totally different approaches to grow consumption. Let’s take the coffee market for example: Kantar Worldpanel observes that less than 40% of the Chinese families bought coffee in 2012, which was still a lot lower than other more developed markets, e.g. 58% in Taiwan. This indicates that consumers in China market are still in the developing stage of the coffee drinking habit. However, there are differences by different city tiers. Consumers in key cities generally have higher accessibility and higher acceptance toward innovative concepts and products while consumers in lower tier cities are followers and more reluctant to change. As a result, for emerging categories, cultivating usage habits through innovative and premium products would be important for key cities, whereas overcoming barriers to trial and arousing interest in first trial would be more relevant for lower tier cities. Marketers for emerging categories will have to take a tiered strategy for product development. Although most categories still grew by using a combination of shopper base expansion and spending level growth, thanks to urbanization and market developments, 90% of the FMCG categories reported a noticeable increase in buyer base and leading players benefited more from the race for consumer acquisition. Total 2012 data suggested that there were 15 FMCG players in China who reached over 100 million urban families and the top of the table continues to be dominated by P&G, COFCO3 and Master Kong4. All 3 have managed to extend their buyer base, demonstrating that even the giants have room to grow. Many of the successful manufacturers mentioned in the report have continued their push in the final quarter of 2012, especially Mondelez, President and Mars. All 3 star players in 2012 have outperformed in the lower tier cities, reducing the gap in terms of consumers reached in the low tier cities compared with the more developed high tier cities and growing their customer base in the grocery channel, especially President who has a higher penetration in the traditional trade compared to hypermarkets and supermarkets. In a local player battle that’s playing out, Want Want has overtaken Liby in terms of consumer reach on an annual basis, helped by a surge in buyers for its snacks and confectionary products and increased recruitment in hypermarkets. Another local player, Wahaha, has managed to gain significant buyers in the juice category, but at the same time, lost buyers of its ready to drink tea and its yogurt products, leading to an overall decline in its buyer base, with much of the loss coming from the modern trade and in top tier cities where multinational competitors have managed to strike back.